This course teaches the necessary tools to be responsible babysitters while keeping children in their care safe and happy. 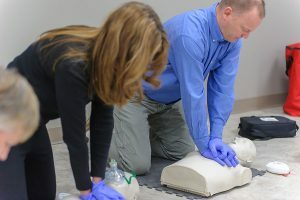 First Aid Content Covered: Check, Call, Care (includes phoning EMS/911) , glove removal, recovery position, conscious choking (adult/child/baby/alone), illness, asthma (includes use of inhalerand spacer), anaphylaxis (includes use of EpiPen), poisoning, insect stings, wound care (i.e. 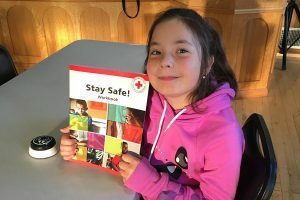 minor cuts and scrapes, splinters, nosebleeds, bumps and bruises, life-threatening bleeding, burns), head, neck and back injuries, broken bones, seizures. Successful candidates will receive a babysitting manual and a participation card. This course teaches the necessary tools to be responsible babysitters while keeping children in their care safe and happy.